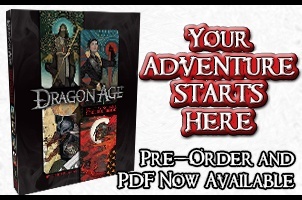 The Dragon Age RPG Core Rulebook is ready to go to press, which means it’s now available for pre-ordering in our Green Ronin Online Store! This new Core Rulebook combines the rules and background of the original game under one cover for the first time, and adds a brand new adventure as well. The game system is easy to learn and play, and the book is packed with lore from the world of Thedas. It is available in both hardback and PDF formats. Customers who pre-ordered the Ultimate Edition of this book will very soon receive a coupon for a free PDF of this book. 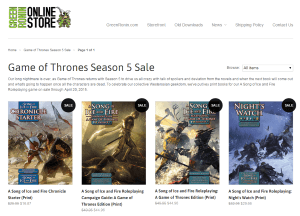 People pre-ordering the Core Rulebook through our store will receive an offer during checkout to get the PDF for just $5.